Barely Used - LG GizmoPal 2 Watch Band - Blue. Mint Condition, may have one or two light scratches from use. Great Deals. Motorola Phones. Original OEM LG Replacement Band for GizmoPal 2 & GizmoGadget Light Blue. Item is new, no box. Free shipping. The GizmoPal2 and Gizmogadget Wrist Band is a perfect fit for kids ages 4 and up. - They are durable and easy to clean and also water resistant. Our main warehouse is located right outside of Baltimore, Maryland. Install the Dock into the bracket. Install the cable into the dock. Thread the cable through the bracket. For Apple Watch Series 1. For Apple Watch Series 2. For Apple Watch Series 3. For Apple Watch Series 4. The Liquid Air® brings coverage to the Galaxy Watch with style. Encase the Galaxy Watch with a polished yet protective Liquid Air®. 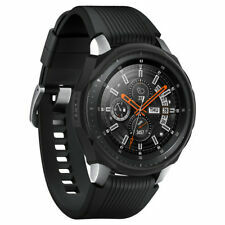 COMPATIBILITYGalaxy Watch (46mm). Scratch defense with flexible and shock-absorbent layer. For Apple Watch series 1 2 and 3. Durable Magnetic Charging Dock : With a good quality build, high temperature resistance and shock absorption. Perfect Length ： 3.3 feet Apple Watch charging cable allows easy connection and perfect compatibility. This fits for sereis 1, series 2 and series 3 42mm. It says only for series 1 but it fits the FIRST 3 SERIES. 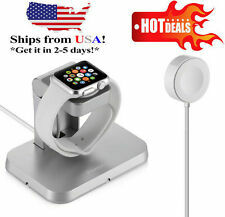 5 out of 5 stars - Samsung Wireless Watch Charging Dock OEM Charger Gear S2 Series EP-OR720 !!!!!! 101 product ratings101 product ratings - Samsung Wireless Watch Charging Dock OEM Charger Gear S2 Series EP-OR720 !!!!!! Apple Watch 1st (38mm). Apple Watch 2 Series (38mm). 1 x Tempered Glass (38mm). Apple Watch 3 Series (38mm). This product is made by 9H tempered glass with curved surface, and it requires to CLEAN the phone screen surface very carefully. Genuine Apple Watch - 38MM Seashell Woven Nylon Sport Loop Band - Authentic OEM. Apple Products Apple iPhones Apple iPads Apple iPods Apple Watches iMacs Mac Minis MacBooks Apple Watch Band Other Apple Products Samsung Phones Accessories Wholesale Lots. Apple Products Apple iPhones Apple iPads Apple iPods Apple Watches iMacs Mac Minis MacBooks Apple Watch Band Other Apple Products Samsung Phones Accessories Wholesale Lots. If you look up the British word‘Tetchy’, you will find a very concise definition—“bad-tempered and irritable.”. Band Width: 22mm. 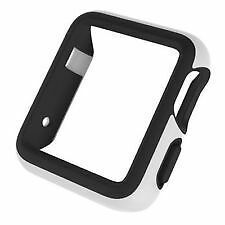 1 x stainless steel strap for Samsung Gear S3. Length: Fits 5.90"-9.30" wrist. Adopts unique double button folding clasp, firmly closed, and prevent loosen automatically, safe and beautiful. Product Features The InvisibleShield HDClear screen protector for Apple Watch Series 4 40mm with powerful components provides impact protection and gives you peace of mind. Ultimate HD clarity is combined with a glass-like surface for protection that looks as good as it feels. Designed for Apple Watch 42mm & 44mm. Olive green finish. Apple Watch® is a trademark of Apple Inc. The 40mm band works with the 38mm case. Compatible with Apple Watch 40mm. 40mm: S/M & M/L bands fit 130-200mm wrists. It also works with all previous versions of Apple Watch, including Apple Watch Series 3. Apple Watch Stainless Steel Strap Band 42mm iWatch Series 3 2 1 Sports Edition. Personalize your Apple Watch with this refined stainless steel strap. Compatible with Apple Watch 2015. Series 1, 2 or 3 Sports Edition. Compatible with Apple Watch 42mm models for a precise fit. Brown with black lugs color allows you to personalize the look of your watch. We are here for you! We strive for you to have a "Goldstar" experience start to finish! This repair kit can be used for any color Gizmo band. How to install a new Gizmo buckle Step 1. Place the strap flat facing down. Wedge the tongue into its recess at the middle of the strap. Its end tip should be curved upward. Custom designed for your Samsung Gear S2 SM-R720 / SM-R730 Smart Watch with this Stainless Steel Strap. NOT FIT Samsung Gear S2 Classic Watch (SM-R732 & SM-R735) & NOT FIT Samsung Gear Fit 2 SM-R360. Genuine Apple Watch - 38MM Pink Sand Woven Nylon Sport Loop Band - Authentic OEM. Apple Products Apple iPhones Apple iPads Apple iPods Apple Watches iMacs Mac Minis MacBooks Apple Watch Band Other Apple Products Samsung Phones Accessories Wholesale Lots. The leather is sweat-resistant from France. With hi-tech waterproof rubber backing developed in Switzerland. 9/10 condition. Light wear on the band. Fully functional. Or maybe you're looking to change things up with a different color band?. 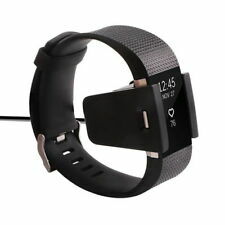 Rather than purchasing a whole new smartwatch, you can replace just the wrist band for a fraction of the cost! Best of all, it's an original Samsung product so you know that it'll be perfectly compatible with your Gear S2. 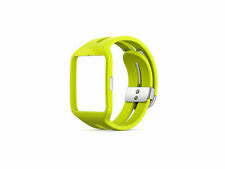 • Lightweight and ultra-thin case fits smoothly on your iWatch, a classy looking on your wrist with easy installation. • Full protective cover design keeps your watch brand new by preventing the watch face and edges from chipping and scratching. • Touch screen interface functions properly even with case wearing on, no affecting on the screen responsive. • Compatible with all Apple Watch series 2/ series 3 42mm, Apple Watch edition, Apple Watch sport. 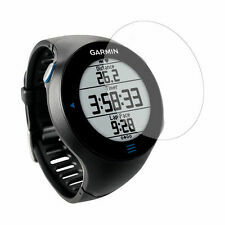 • 60days warranty after the date of purchase, 100% satisfied! Package Included: 1 x Clear Case For Apple Watch. ●Fit for 42mm 44mm. Apple watch Series 3, Apple watch Series 2, Apple watch Series 1. ● 1x Apple Watch Link Bracelet band( Watch NOT included ). ●Band Type: Bracelet/Link Band. ●Color: Silver. Apple Products Apple iPhones Apple iPads Apple iPods Apple Watches iMacs Mac Minis MacBooks Apple Watch Band Other Apple Products Samsung Phones Accessories Wholesale Lots. Actual Apple watch not included. X-Doria Defense Edge Machined Metal Guard Bumper Silver Apple Watch 42mm. Condition is New. Shipped with USPS First Class Package. Apple Watch Series 2/3/4: Apple Watch, Apple Watch Nike , Apple Watch Hermès, Apple Watch Edition. 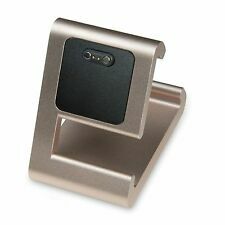 Durable Magnetic Charging Dock -- With a good quality build, high temperature resistance and shock absorption. For All 38mm Apple Watch Versions. Also Fits 40mm Apple Watch Series 4. Made from Over 500 Nylon Threads. Fits Wrists 4.9 to 7.7" Around.